Landscape orientation typing was all the rage a few years ago, back when phones had slide-out, physical keyboards. These devices also weighed a ton, so they quickly fell out of favor. However, this form of text input can sometimes prove to be more efficient, whether its because two handed typing feels natural with the increased width, or because you can’t seem to press a key without pressing the adjoining ones too when in portrait mode. Sure enough, when Android came of age, landscape typing gained a foothold among various users, but all was not well with the world. 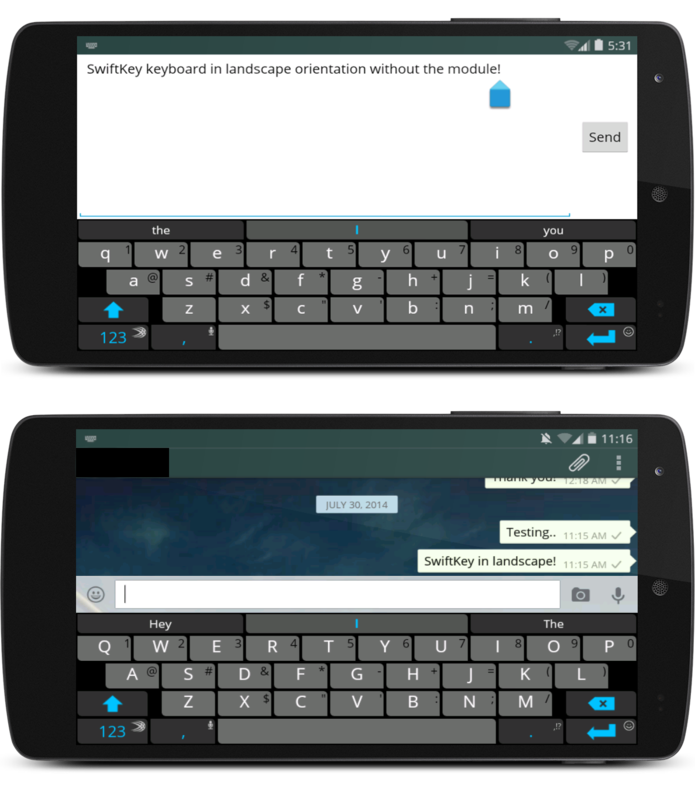 Android keyboards, when operated in landscape orientation, have an unfathomable tendency to take up the full height of the screen, breaking context with the app and not allowing you to read other things, such as previous messages in a messenger app. Luckily, XDA Senior Member xenon92 has a fix for this in the form of the Disable Fullscreen Keyboard Xposed Module. This module, as the name so obviously states, disables the full screen keyboard, along with the text input field that takes up the whole screen in landscape orientation. It is compatible with all major Android keyboards. All you have to do is install and enable it, and then let it work its magic. Head on over to the Disable Fullscreen Keyboard application thread to get started with the module, or to view the source code of it if you want to check that out. The only requirement for it is the Xposed Framework.